In November, as per tradition, EXPO Mediterraneo, the institution of Catania Confcommercio System, responsible for organizing major trade fairs, proposes RHS – Ristora Hotel Sicilia. This event is supported by FIPE, regional Assipan and Federalberghi organizations and dedicated to Catering, Bar, Ice-cream Shops, Pastry Shops, Pizzeria, Bakery and in general to HO.RE.CA. 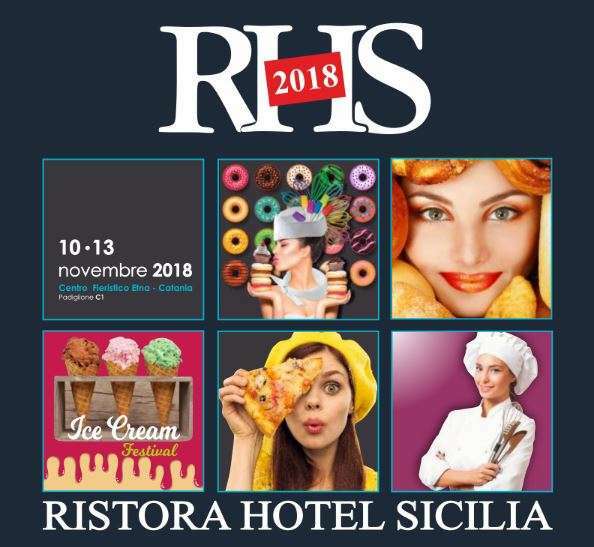 At the fifteenth edition, RHS has become a reference point for professionals in Sicily, Calabria and Malta, bringing it up to the top list of events dedicated to professional catering in Southern Italy. Also this year, Zanussi Professional will be present at the exhibition at Pad.C1 Stand 107/110 Lane C and Stand 119/122 Lane D. Here it will be possible to touch Zanussi products, from EVO modular cooking to the electric grill HP, EasyLine ovens and blast chillers, up to the fryers HP and much more from the Laundry world. The stand will also include equipment from the Dito Sama range, an historical brand specialized in Dynamic preparation. In this area, the main appliances will be: Cutter Mixers, Planetary Mixers, including the well-known BE8 and the more compact DMIX, TRS and Bermixers, as well.